Features and benefits: Custom built to your length and width requirements. Produced and constructed with sanitation features in mind. Belting, in line washers, speed control and diverters are all built to customer specifications. Construction: Heavy duty 300 stainless steel, tig welded, adjustable leg inserts available. Stainless steel wash down motors. 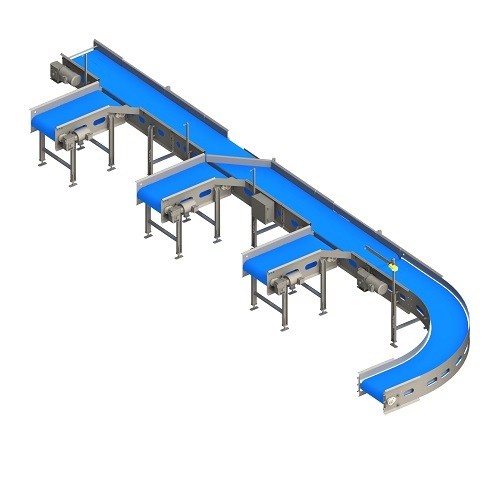 Specifications: Each conveyor is custom designed to individual needs and wants. 230/460/3/60 electrical. Call or contact us for custom machinery pricing.